Commissioned histories are one of the most popular and effective ways to represent the past. They are often inspired by a significant event, anniversary or commemorative milestone. A commissioned history involves professional historians undertaking large-scale research and writing to the brief of the commissioning agent. Commissioned histories are often published in book form and made available commercially or for distribution within the community. Many organisations also like to include an accompanying website with their publication. Websites can showcase additional visual material and can include audio documentaries or oral history extracts. Growth, Progress and Community Spirit traces the history of the Melton district from Dreamtime to today. Beginning with the formation of the land, it covers tens of thousands of years of habitation by First Nations people, the arrival of European settlers, and the incredible transformation from a small farming community to one of Australia’s fastest growing cities. This history explores the changes and challenges faced throughout this journey, and shows how the community has risen to meet them. Archival records and photographs are combined with the memories and reflections of locals to illuminate the past and pay homage to those who have shaped this thriving municipality, while also looking to the future. Growth, Progress and Community Spirit celebrates the Melton community, past and present, its diversity, unique character and vibrant spirit. Founded in 1842, Williamstown’s St Mary’s Parish Primary School has been identified as the oldest continuously operating Catholic school in Victoria, and is an integral part of the Williamstown community. In 2017, St Mary’s Primary School celebrated its 175th anniversary. To commemorate this significant milestone, the school commissioned a history that celebrates the last 175 years and proudly documents the community that has been fostered during this period. St Mary's Primary School is built on a strong tradition of generosity and support within its parish and wider community. 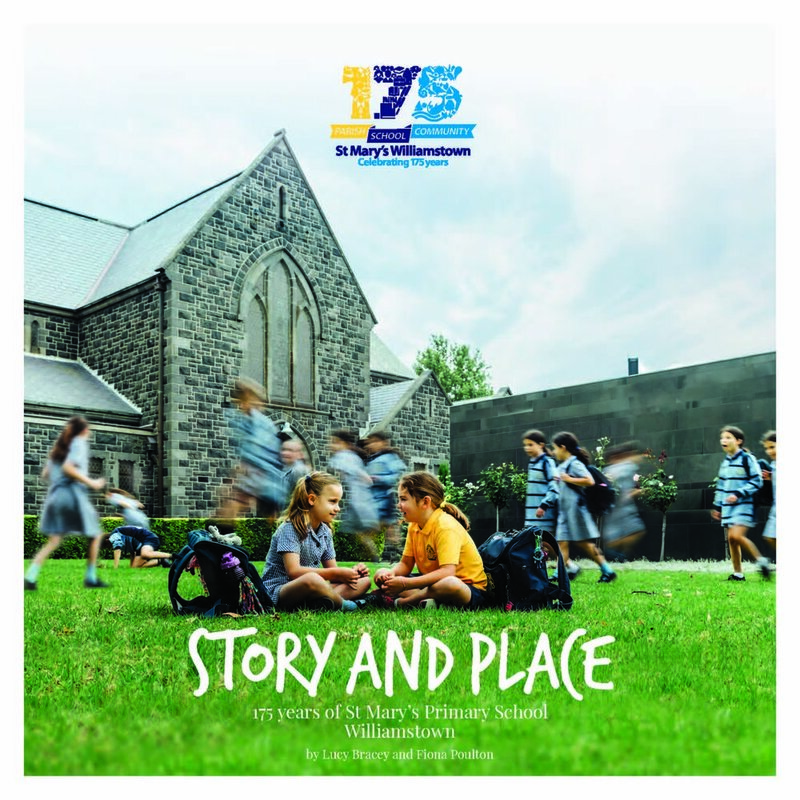 This book tells the story of the community's resilience and commitment to the education and wellbeing of the children of Williamstown, and of the many people, both past and present, who have made St Mary's the thriving community that it is today. On Wednesday 8 April 1964 the recently established Monash University held its first ever graduation ceremony, at which Professor Donald Cochrane presented ten candidates with their Bachelor of Economics. Visionary Foundations traces the history of business and economics at Monash University over its first 50 years, from the establishment of the Faculty of Economics and Politics with just five staff members in 1961, to the launch of Monash Business School with more than 350 academic staff in 2014. The history explores the development of the school’s unique identity and character, and details the changes and challenges it has faced along the journey. It celebrates Monash Business School’s diversity, innovation and expertise in both teaching and research, its many significant achievements, and the meaningful contributions it has made – and continues to make – to communities across the world. The Traveller’s Aid Society of Victoria was formed in 1916, as increasing numbers of women were beginning to travel into the city of Melbourne from interstate and rural Victoria. Its aim was simple: to provide support and protection for women travellers. Whether journeying to Melbourne for the first time, needing assistance with children, or coming to grips with life in the city, Travellers Aid was there to help at their point of need – and it has been ever since. Commissioned to commemorate the centenary of Travellers Aid, We Are All Travellers was launched at Government House in August 2016 by Judge Anthony Howard. Continuing a tradition started in 1916, as partner of the current Governor of Victoria, the Hon. Linda Dessau AM, Judge Howard is Chief Patron of Travellers Aid. Accompanying the book is a travelling exhibition that is visiting Travellers Aid locations around Victoria. On a Saturday morning in 1896, a group of Melbourne’s most influential dignitaries and charity workers gathered at Government House with the intention of forming a group aimed at protecting children from cruelty and neglect. Led by Lady Sybil de Vere Brassey, wife of the Governor of Victoria, this meeting resulted in the formation of the Victorian Society for the Prevention of Cruelty and Neglect of Children. Over the past 120 years the Society has provided services for children in need. It has faced constant challenges with passion and commitment, and remained steadfast in its support for families and children throughout Victoria. This history explores the development and evolution of the Children's Protection Society, as the organisation is known today. It is a journey of hope and resilience, illuminated by a proud contribution to the child protection system in Victoria and ground-breaking work for families. In 2014 Australia began commemorating the 100th anniversary of World War I. World War I had a profound impact on all who experienced it, one which reverberated among families, communities and subsequent generations. Most people have been touched in some way by the legacy of WWI, whether as a result of the experiences of family members or friends serving in the AIF, nursing on the front lines or the experiences of those who remained behind to carry on with life in Australia; the realities of WWI have passed down from generation to generation. World War I touched the citizens of Boroondara just as it touched countless communities across the country. This publication, Boroondara Remembers: Stories of World War I was written to honour the men and women of Boroondara who fought on the front lines and those who stayed behind and supported from the home front. It is the story of a community, told through the eyes of individual, everyday citizens. Way Back When worked with the local Boroondara community to gather stories, pictures, letters and photos of relatives and friends who dedicated themselves to serving King, country and community. The newly-built St Joseph’s church-school building in Springvale was blessed by Daniel Mannix, Archbishop of Melbourne, in 1937. Classes commenced the following year with 45 students. For 16 years the school was staffed by the Sisters of Our Lady of the Missions, who handed the reigns to the Brigidine Sisters in 1955. Over the next 20 years the school population boomed as the multicultural landscape of Springvale transformed. News of a 'gay cancer' emerging in the United States reached Australian shores in 1981. The first case of AIDS was identified in Australia the following year. Before Australia's first death as a result of AIDS in July 1983, a group of more than 300 people gathered in Melbourne in response to the impending crisis. This meeting led to the formation of what was to become the Victorian AIDS Council. Providing a united voice for the gay community on issues relating to HIV/AIDS, the Victorian AIDS Council immediately began lobbying governments and advocating for the rights of people with HIV/AIDS. As the relentless ferocity of the epidemic gathered force, the first education campaign was launched, support teams were organised to provide vital care and the Gay Men’s Health Centre was formed. Despite the fear and heartbreak endured in the darkest days of the epidemic, the Victorian AIDS Council / Gay Men’s Health Centre remains a community with an unfailing commitment to the hope of the eradication of HIV. Under the Red Ribbon is the story of thirty years of a courageous and determined community united by a common cause. The story is also told on the comprehensive website www.undertheredribbon.com.au, where the voices of those who were there are brought to life through audiovisual documentaries and digital stories. The origins of H.A. Bennett & Sons date back to 1918 when Horace Bennett established H.A. Bennett Tea Coffee and Cocoa. From this he was to build a company that would encompass three generations of the Bennett family and survive many challenges, including a swing away from tea drinking in the post war period and a huge growth in the popularity of coffee. Each of Horace’s sons worked at some time in the family business, but it was Bill who continued the name and successfully traded through Australia’s shift away from tea consumption and into coffee drinking. Following his father and grandfather into the family business, Bill’s son Scott learnt his trade in the newly established coffee growing and trading industry in Papua New Guinea. For more than 90 years, any Australian who has enjoyed a cup of tea or coffee has more than likely sampled the work of Bennetts. A Good Brew tells the story of a business that spans almost a century, tracking the development of the tea and coffee industry in Australia over three generations. Commissioned by the Nurses Board of Victoria in March 2010, The Act of Nursing: a history of nursing regulation in Victoria tells the story of nursing and midwifery in Victoria. The role of registration, training accreditation and monitoring of nurses and midwives has been fulfilled by three bodies in Victoria: the Nurses Board (1923–1957), the Victorian Nursing Council (1957–1994) and the Nurses Board of Victoria (1994–2010). This publication acknowledges and commemorates the proud tradition and historical significance of nursing and midwifery regulation in Victoria. It covers the significant milestones and turning points, the challenges and triumphs, and the development of each organisation to meet the growing needs of the profession and the expectations of the public. 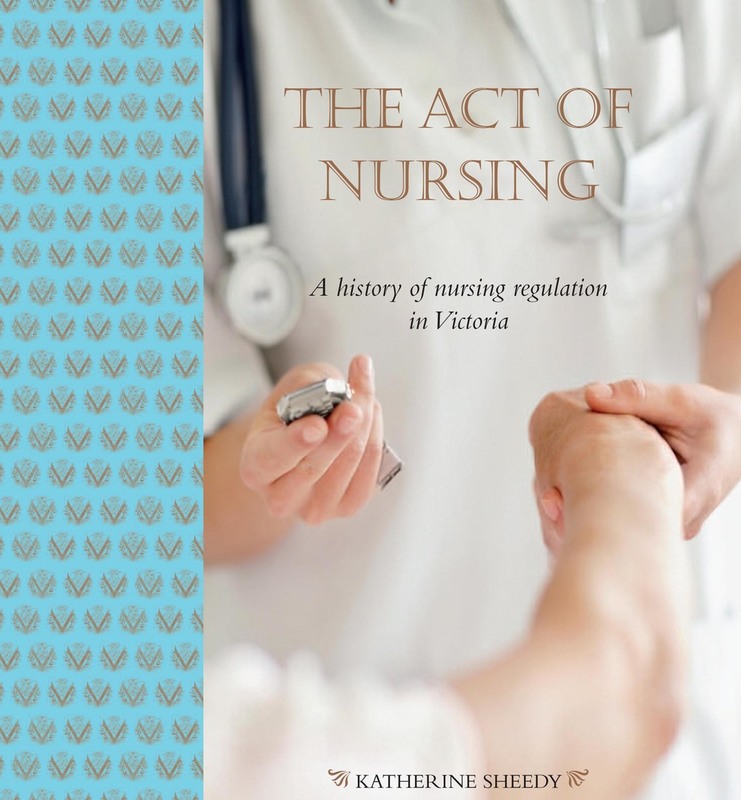 The Act of Nursing tells the story of nursing and midwifery regulation in Victoria from its foundations in the Nurses Registration Act 1923 through to the end of state based regulation in 2010. Charting major developments in nursing and midwifery over more than eighty years, the history covers the emergence of nursing as a profession, the transition of nursing and midwifery education to the tertiary sector and the transition to a national scheme of health regulation. In March 1961, the very first students to study at what was then the new Monash University stepped onto the semi-rural Clayton campus. Among this first student body was a small group of 23 Bachelor of Engineering students. This history – which takes the form of a comprehensive interactive website and a printed publication – marks the 50th anniversary of this first student intake. It celebrates the outstanding achievements of the Faculty of Engineering over this relatively short period of time. Within the pages of the website, which can be accessed at http://50years.eng.monash.edu.au, visitors are taken on a journey that narrates the history of Monash, the emergence of the Faculty, and the development of its unique character. Photographs, images, archival documents and maps are used to bring the history to life in ways not possible in a printed publication alone. Stories of the past 50 years in the form of narrative and personal reflections are woven together using audio documentaries and film footage. Bringing together stories of former and current staff and students with records and photographs, the two forms tell the history of the Faculty and the development of its highly identifiable character. 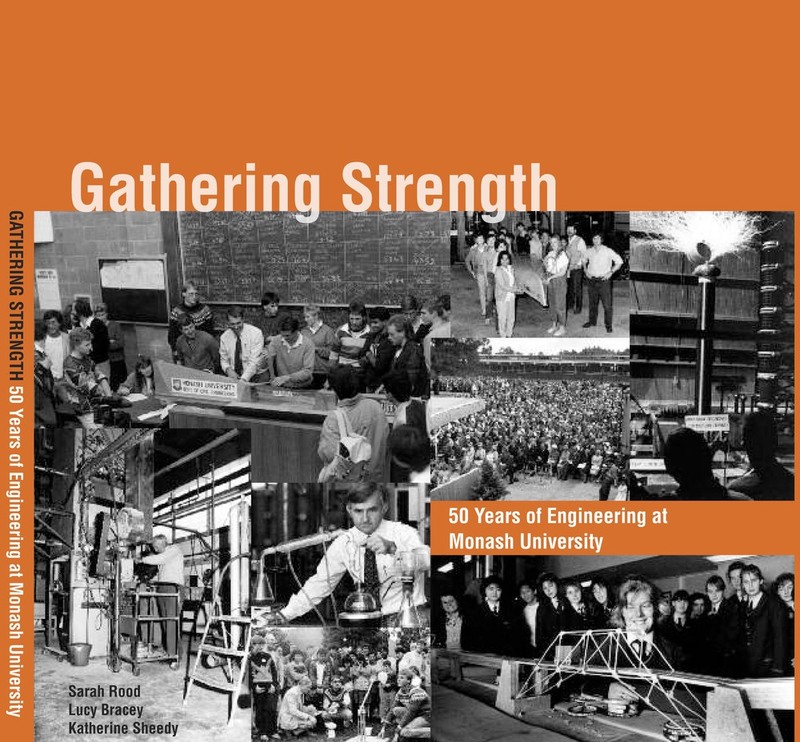 They also document the extraordinary commitment of the many people, organisations and supporters that have made Monash Engineering what it is today. The Victorian Co-operative on Children’s Services for Ethnic Groups (VICSEG) was one of the earliest organisations in Victoria to address the needs of migrant communities collectively. From humble beginnings in the late 1970s, VICSEG worked to connect newly settled migrant and refugee communities with culturally appropriate, inclusive childcare services. In the mid-1990s, VICSEG recognised the importance of moving beyond childcare and began developing and expanding programs that focused on supporting the family unit as a whole, including women’s groups, playgroups and youth programs. In 2011, VICSEG New Futures is a flourishing organisation that continues to provide meaningful education and training opportunities across a range of vocations within the care sector to people from a diversity of backgrounds. Throughout its 30-year history, VICSEG has changed the lives of countless migrant and refugee families in Victoria. VICSEG has given ethnic communities a voice and a stable foundation on which to establish a new life for themselves in Australia. 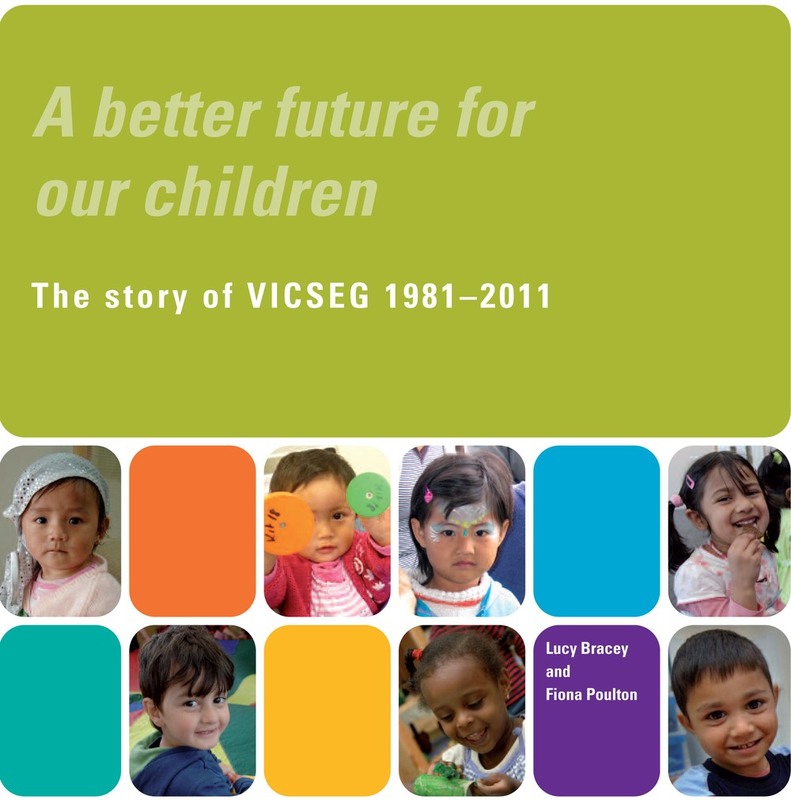 A better future for our children: the story of VICSEG, 1981–2011 traces the development of VICSEG, reflects on the triumphs and challenges of the past 30 years and celebrates this unique and significant organisation. Gastroenterology in Australia began as a specialty in the late 1940s with the return of inspired, dedicated and ambitious men from war service and overseas registrar positions. Early gastroenterologists combined teaching, clinical work and research with leadership and mentoring. They established the foundations for the growth of gastroenterology as a specialty in Australia, and paved the way for the next generation of physicians with a passion for the gut. As the number of gastroenterologists and units across the country grew, the time came to acknowledge this emerging specialty and in 1959 the Gastroenterological Society of Australia was established. Founded as a professional scientific body to guide and uphold standards of practice and to assist the advancement of gastroenterological knowledge in this country, the Society’s work since has reflected the evolution of its membership and its profession. This history traces the development of the specialty in Australia and the Society that has supported the profession of gastroenterology over the past fifty years. Launched during Australian Gastroenterology Week in Sydney in October 2009, A Passion for the Gut was commissioned to celebrate the golden jubilee of the Gastroenterological Society of Australia. It features over 150 photographs and illustrations including Leonardo da Vinci’s study of the stomach and intestines on the cover. This history of the Australian Society for Microbiology (ASM) was commissioned to commemorate the fiftieth anniversary of the organisation’s foundation in 1959. Produced as a special golden jubilee edition of the Society’s journal Microbiology Australia and published by Cambridge Media, the history was launched at the Society’s annual scientific meeting in Perth in July 2009. The history of the ASM is rich and dynamic. It is the story of an active organisation that has adapted to suit the changing needs of its members while continuing to provide a voice for the discipline of microbiology in Australia. Far from an administrative body weighed down by bureaucracy or formality, this history reveals a story of camaraderie, support, activities and events that reflect a healthy and strong organisation supported by a robust membership. A Culture of Learned Professionals combines oral history testimony and archival research into a largely chronological narrative interspersed with a variety of breakout boxes, vignettes and biographies. Photographs, illustrations, and cartoons are used throughout. In telling the story of the first fifty years of the Society, Way Back When’s hope was to reflect the breadth, dynamism, strength, reputation and continuing relevance of the ASM. This commissioned history tells the story of the foundation of the first faculty dedicated to computing and information technology in Australia. Covering the period from the late 1950s until 1990 when the Faculty of Computing and Information Technology at Monash University was formed, it spans the establishment phase of the discipline of computing. During this time, this field of study was developing and changing at a rapid rate, arguably faster than any new discipline in the past. This created enormous challenges and difficulties, as well as wonderful opportunities. These opportunities were seized upon by visionary people both at Caulfield Institute of Technology (later Chisholm Institute of Technology), and at Monash University. In many ways From Ferranti to Faculty is about these people – the influence they had on the development of computing in Australia and on the establishment of the faculty. 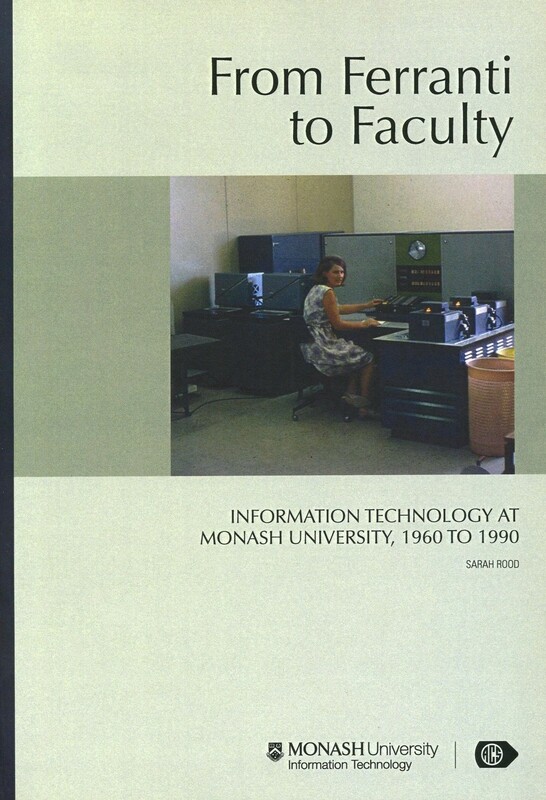 From Ferranti to Faculty traces the foundation and establishment of Monash University’s Faculty of Computing and Information Technology, known today as the Faculty of Information Technology. It explores the emergence of computing and computer science as new, stand-alone disciplines in the tertiary sector. The history of higher education in Australia provides the backdrop to this story, as does the history of Monash University and the various institutions that occupied what is now the Caulfield campus of Monash University. Standing proudly on Little Collins Street in Melbourne’s central business district, The Victoria Hotel has been a silent witness to the growth and development of Melbourne for more than a century. Established in 1880 as The Victoria Coffee Palace, it is one of Melbourne’s earliest hotels and is a true Melbourne icon. It is well known throughout country Victoria and has become a home away from home for many regional Victorians. The Vic has ebbed and flowed with the times, responding to the changes in the city that surrounded it and the needs of hotel guests. To commemorate its 125th birthday, a comprehensive history of the life of the Vic was commissioned. Using a combination of narrative text, images and extended image captions, this history explores the colourful life of the hotel and how the experience of staying at the Victoria has changed over the years. Oral history interviews, original documents and images are used to build a picture of this fabulous Melbourne landmark. The Caulfield campus of Monash University has been a leader in marketing education for more than thirty years. In the 1970s it was the largest centre of marketing education in the Southern Hemisphere and today, is still one of the biggest providers of tertiary level marketing education in Australia. In 1927 Canberra was alive with building and construction activity as the nation’s capital was coming to life. The Olims Hotel Canberra, originally called the Hotel Ainslie, came into existence during this exciting period, opening its doors in time for the grand opening of the new Parliament House. Built by the government as a hostel for public servants, the hotel also served as a home for young women after World War Two and became a popular entertainment venue for locals bin the 1950s and 1960s. As Parliament celebrates its 80th anniversary in 2007, so too does the Olims Canberra Hotel. This history celebrates the 80 rich and colourful years of the hotel’s life. It tells the story of a hotel that grew, changed and adapted along with the young city that surrounded it. 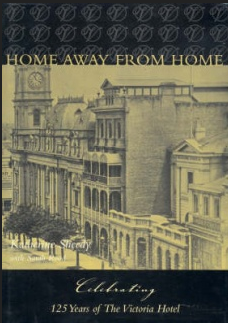 It tells the story of what is now the Olims Canberra hotel, through the ages. The Caulfield Institute of Technology became the first tertiary institute in Victoria to offer a marketing qualification when it introduced the Diploma of Marketing in 1971. 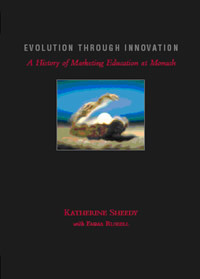 This is the story of how an emerging discipline became a profession, and of the efforts of early pioneers who had a vision and a passion for the future of tertiary marketing education. Commissioned by Monash University to be launched at the Back to Caulfield reunion in November 2005, this short history blends personal experience and official documentation in a dynamic and engaging way. Published in booklet format, it has been circulated to current, past and prospective staff and students, alumni, and the wider university community, as a way of building the profile of the department.